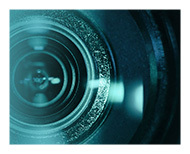 WHAT IS EFA NETWORK ? This project aims to the creation of FITNESS AND WELLNESS EDUCATION SCHOOLS in the European states. The schools will adopt and stick to the EFA education standards for every discipline to garanty prestigious and high quality certifications. To build this project the EFA is looking for dynamic and motivated partners aware of the fitness industry and ready to become a national reference. A great opportunity that insures an important economic return as well as international standing. EUROPEAN FITNESS ASSOCIATION (EFA) was officially set up in Bruxelles in European Parliament on 21/11/2002 and aims to establish an harmonious gathering of National Bodies and Instructors operating in Fitness, Wellness and Healthness through the programmation of courses organized by every organization affiliated to EFA, spread all over Europe. As a Federation formed by Organizations and Instructors from all over European and Mediterranean countries, is aiming to train an Instructor at International Level: “The European Istructor” will be new professional figure, recognized on the International Labour Market through a teaching method that respects required EFA parameters. 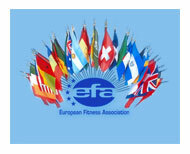 European Fitness Association (EFA)’ s aim is to standardize and to diffuse minimum international standards regarding teaching methods in Fitness areas for a common interest of its Members to guarantee, to fitness praticants, a learning method sticking to Guidelines Policy EFA. 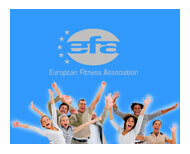 European Fitness Association organizes through affiliated Organizations and Corporations all over Europe, training courses that will release certificates recognized by EFA and conformed to ISO policy. European Fitness Association (EFA), being aware of the importance of sports as an effective tool to enforce integration and cultural exchanges founds its values on the principals of the White Paper on Sport (European Commission - Brussels, 11.7.2007 COM. (2007) 935, SEC(2007) 936). Set up a Technical Committee formed by Representatives of many affiliated organizations of all over Europe. 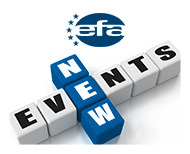 Obtain an Institutional support for main events promote by EFA and by its affiliated. 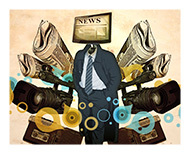 Technical Committee formed by Commissioners selected by every affiliated country can represent own interests as a whole.